Being on the range doesn't have to mean roughing it. Different Rooms for Different Needs. 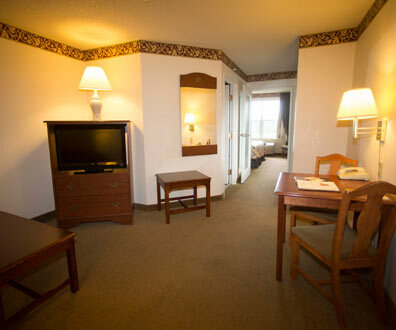 Whether you’re in town for business or pleasure, the Chisholm Inn & Suites has the perfect room for you! We have several unique room options to help you enjoy your stay. If you plan to stay a while or may be engaging with others at your room you may wish to get our Deluxe Suite with spacious king-size bed, a separate lounging room with a pull out couch, and other amenities. 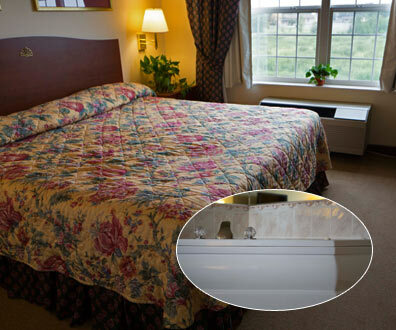 If you plan to just stretch out in a nice, quiet atmosphere, unwind after a day at the mobile office, or just relax, you may want to book the King Whirlpool Suite or King Single Room. If you are on vacation or traveling with others, you may want the Double Queen Room so that everyone can enjoy a full night’s rest. All rooms have a small refrigerator, microwave, iron and ironing board, hair dryer, coffee maker, alarm clock, telephone and television plus complimentary breakfast. Our suites have a few more amenities just for you. Reserve a 2-room Deluxe King Suite. Click here to have a look at or 2-Room Deluxe King Suite. Reserve a King Spa Suite or King Single. Check out our King Whirlpool Suite or our King Single. 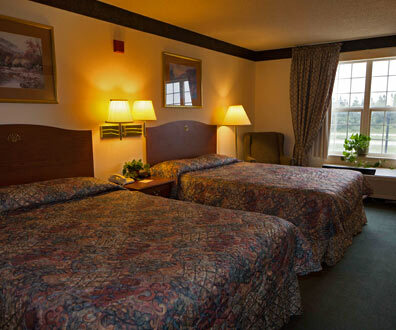 Here’s a look at our Double Queen Room. In the morning come enjoy breakfast with us. 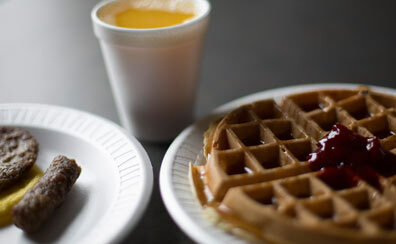 Our complimentary “hot” breakfast buffet is the perfect way to appease your appetite and get your day started off on the right foot.